Roll the video of Muslims desecrating World War II graves in Benghazi Libya and then my comments. The truth is chilling but in a way it is refreshing. The Moro killed infidels because they could. The Moro were not sophisticated in the ways of media. They had not learned from the international left that in order to gain sympathy one has only to present as a victim. Once the status of victimhood is achieved, presto, anything goes. The 1898 Treaty of Paris formally ended the Spanish-American War. By its terms America acquired the Philippines, and the Moros Islanders, Muslim tribes who developed in isolation from the rest of Catholic Philippine society on the southern islands of Mindanao, Palawan, and Basilan. As James R. Arnold writes in the excellent The Moro War: How America Battled a Muslim Insurgency in the Philippine Jungle, 1902-1913. …when the Spanish withdrew their garrisons, the Moros logically concluded that they had won. 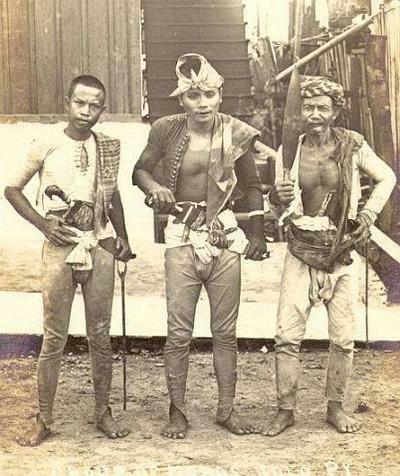 Moro datus cheerfully resumed their traditional habits, namely engaging in ancestral feuds, cattle and slave stealing, and piracy, and the countryside reverted to lawlessness. This was Moroland on the eve of the American arrival. The Americans were reluctant almost naive imperialists. In fact, America had little interest in interfering with Moro religious customs. This was in stark contrast to the Spanish whose Catholicism led them into deadly conflicts with the Moro whose only law was sharia.